The government’s human resources department is getting a new CIO and deputy. The Office of Personnel Management announced a change in leadership within the Office of the Chief Information Office, naming a new CIO and deputy and announcing the former chief’s retirement. Clare Martorana was named the new CIO Thursday, replacing CIO David Garcia, who was appointed CIO in October 2017, having previously served as the lead IT official for the state of Maryland. Acting OPM Director Margaret Weichert also announced the appointment of David Nesting as deputy CIO. Since October 2016, Martorana has served as a digital service expert for the U.S. Digital Service, a tiger team of former private-sector experts who help agencies with specific technology problems. Martorana was tasked to the Veterans Affairs Department, where she worked on Vets.gov and other digital modernization efforts. Before joining public service, Martorana worked in the health IT sector for more than 15 years. 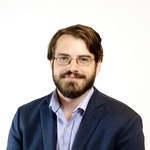 Nesting also joins OPM from USDS, where he’s served as a reliability engineer and director of engineering and worked on projects like Healthcare.gov and Login.gov. He previously worked for Google and AT&T. The announcement made no mention of Garcia’s future plans, such as whether he will join another federal or public sector agency or head for the private sector.